As much as I appreciate my straight, manageable hair, sometimes I prefer to curl my hair before I start styling it. 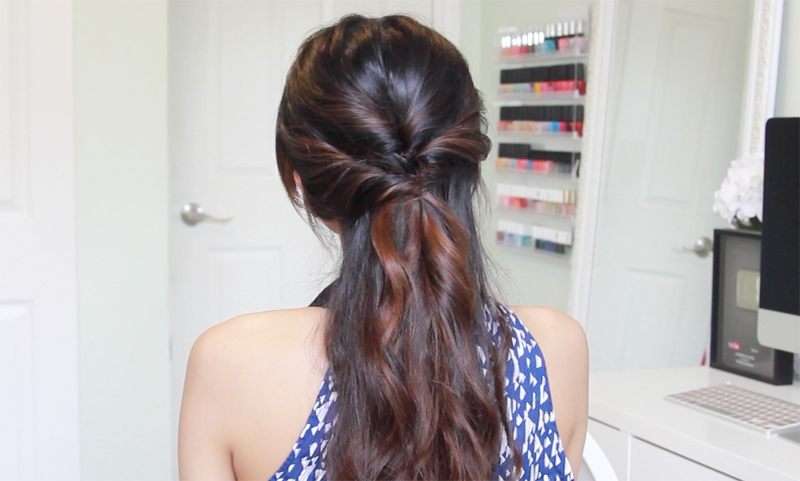 Doing so gives my hair more volume and instantly makes the hairstyle look more put together. In this hair tutorial I transformed my pin-straight hair to voluminous waves using the Infiniti Pro by Conair Grooved Curling Wand. 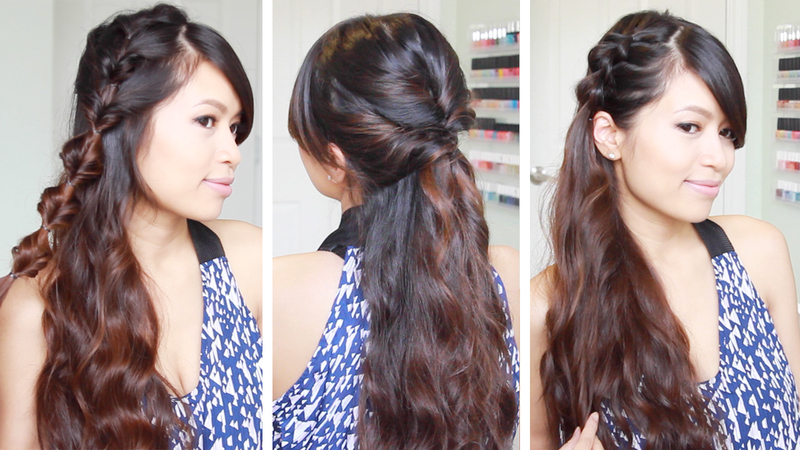 Here are the three quick and easy hairstyles that I choose to do. Occasion: You can wear these hairstyles casually to school and work but you can dress them up for Proms, weddings, bridal, graduation, etc. 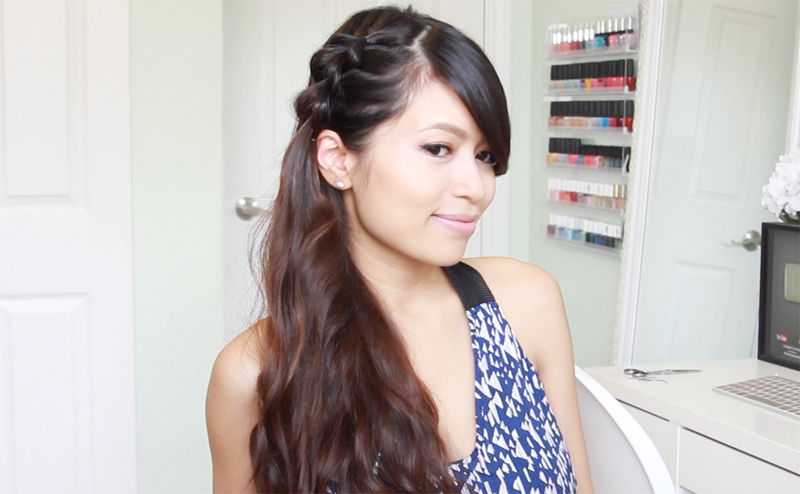 This casual hairstyle is great if you love the look of fishtail braids but don’t have time to them. 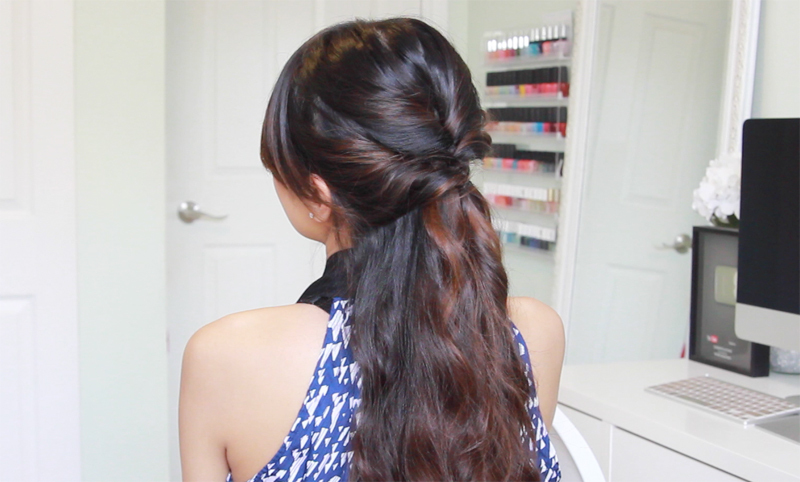 This elegant hairstyle can be dressed up or down. Add some hair accessories and you can wear this look to proms and weddings. This is one of my favorite lazy go-to looks. 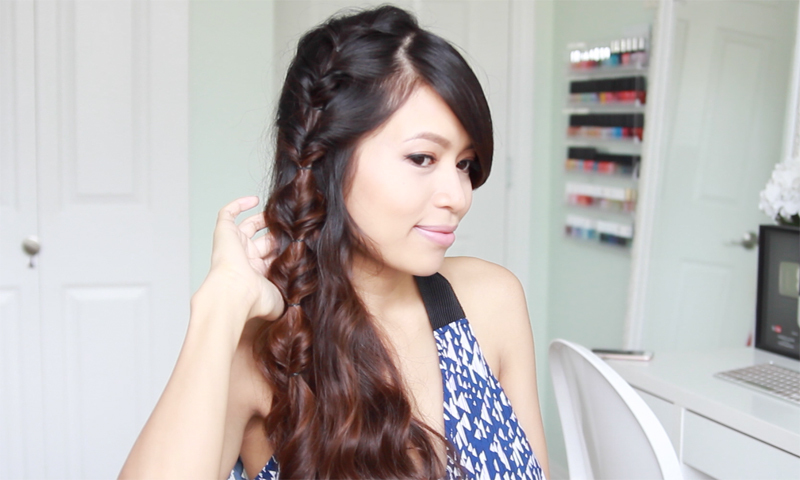 Create the braid on both sides if you want your hair out of your face.